WordCamp Birmingham UK 2015 takes place on the weekend of 7-8 February 2015 at The Studio in central Birmingham, and is the follow up to WordCamp Bournemouth UK 2014. £15 discount early bird tickets for the event are now available – the price increases to £25 at midday on Sunday 11 January 2015. Microsponsor tickets are available – these are intended for individuals and small enterprises. Sponsorship for companies and organisations is also available. The weekend is produced by WPUK. 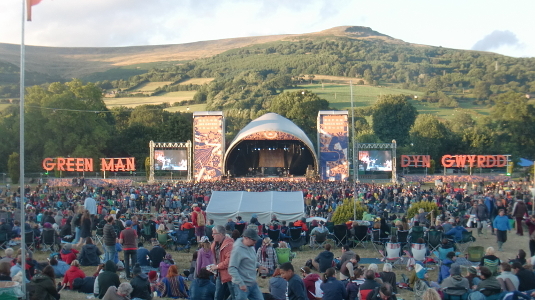 I attended this year’s Green Man Festival, held at Glanusk Estate, South Wales, on 14-17 August 2014. Christina, Des and myself have been to the festival every year since 2011, and since last year, have stayed for seven days as a Green Man Settler. We therefore got to the site on the evening of Monday 11 August 2014 and erected our tents using our extensively rehearsed procedure (?). Before the festival started proper, we spent plenty of time exploring the local (repositioned) Settler’s Bar (formerly the Holiday Inn), the settler’s late night bonfire and the local town of Crickhowell, particularly the magnificent Bridge End Inn beer garden overlooking the River Usk. At the start of the actual festival on the evening of Thursday 14 August. we saw the rousing Waterboys on the Far Out Stage, followed by visiting the first night of the Green Man Bonfire. The Friday was spent mainly at the second Green Man Beer and Cider Festival in the gothic Courtyard, followed by our first late night visit to the Far Out After Dark and Chai Wallahs dance areas, along with a second visit to the Green Man Bonfire. On Saturday afternoon we heard a fascinating interview with Peter Howell of the Radiophonic Workshop. Later we saw the fantastic The War on Drugs and the semi-legendary Mercury Rev on the Mountain Stage, followed by a second visit to the Far Out After Dark and Chai Wallahs dance areas combined with our third Green Man Bonfire. On Sunday we attended an amusing interview with Gruff Rhys on the making of his last album. Later on the Mountain Stage we experienced the heavier-than-expected Anna Calvi, the laid back Bill Callahan and the crystal sounds of First Aid Kit. We then went to the Far Out Stage to witness Kurt Vile and the Violators, who, surprisingly to me, looked like Status Quo roadies! The night inevitably concluded with the Far Out After Dark and Chai Wallahs dance areas along with our final Green Man Bonfire. The next day was mainly spent de-rigging our tents and moving Christina’s bag, which had mysteriously quadrupled it’s weight! Moving the centre of operations to the Bridge End Inn beer garden, we discussed our next move. Des then decided to return home, and after further in depth discussion, we decided to move to The Old Rectory Hotel for one night of luxury. The next day, following an impromptu day long review of the national press in the hotel reception, we then moved to the Park Farm Camp Site, and re-rigged our tents. The next day we discovered the reason for Christina’s baggage weight increase – some of the clothes were wet! Following the use of the site clothes drier, we took the fifteen minute walk into Crickhowell to stock up on supplies and visit some of the local hostelries. We spent the rest of week visiting the local area, and checking the local supplies of ale and cider, before finally returning to reality on the afternoon of Friday 22 August 2014. All in all, an excellent two weeks – roll on Green Man 2015! WordCamp Bournemouth UK 2014 took place on the sun drenched weekend of 12-13 July 2014. As I said during at the end of the event, we are planning to move to a six month event cycle in the future – with Birmingham, the close runner up to Bournemouth in the venue selection ballot, planned to take place in the first quarter of 2015. 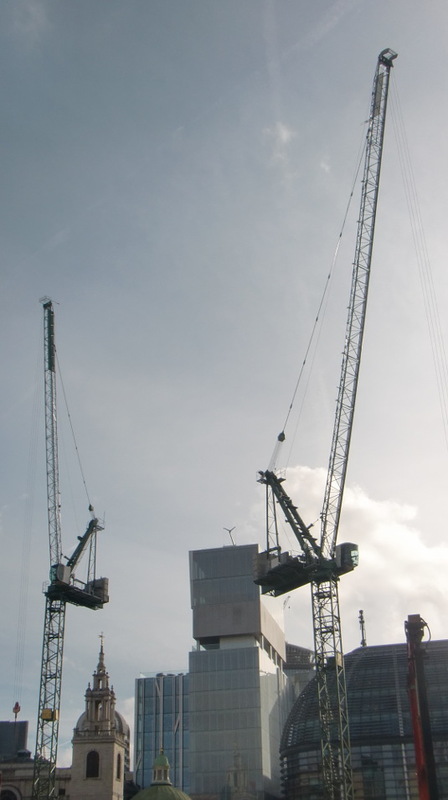 Construction work on Queen Victoria Street London EC4 at 1002 on Sunday 2 March 2014. £10 half price Early Bird tickets are now available for WordCamp Bournemouth UK 2014. The event, previously known under a working title, takes place over two days on the weekend of 12-13 July 2014 at Bournemouth University. Details of sponsorship options, and how to propose sessions, are on the WPUK site. You can take part in the ballot to select the venue for WPUK Unconference 2014 (working title). 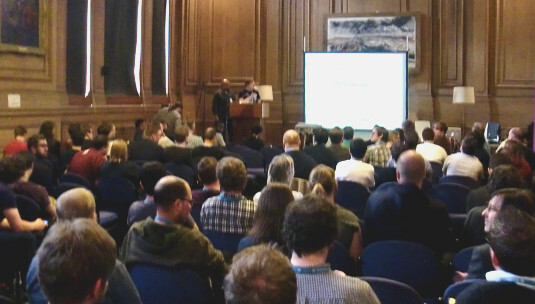 The event, to be held on the weekend of 12-13 July 2014, is the follow up to WordCamp Lancaster UK 2013. As for previous events in the series, participants can vote to select the venue – the year the choice is Birmingham or Bournemouth. Find out how to vote on WPUK Discuss.